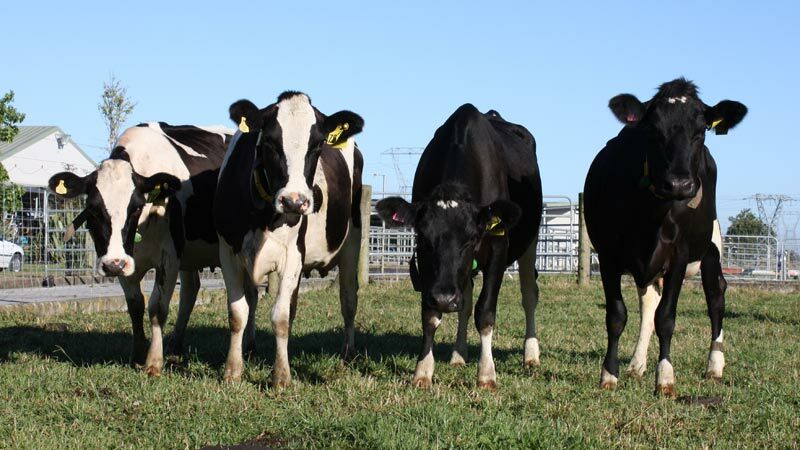 Heifers are valuable stock and their introduction to the milking herd should be planned. Time and patience is required but will result in time saved in the long run. Pre-calving handling and experience of the milking environment can reduce adverse reactions of heifers when they join the milking herd. Decreased stress for heifers and people as they are easier to manage. to be well grown (this should already be the case if they are pregnant), to compete successfully with herd mates. positive experiences associated with the new environment. a consistent sequence of events leading up to entering the dairy for milking. about 3-7 introductions to the new environment to familiarise them with it. Ensure all handling of heifers is positive as poor handling of heifers increases fear of humans. If using a feeding system, bring heifers into the dairy and feed them before calving as this will create a positive association to the dairy. Teat spray heifers in the month prior to calving to get them used to the action and sensation, and to help reduce mastitis. Training gates can be used to restrict heifer movement so it is easier to get them on to the rotary platform for the first time. Consider putting a few older cows in with untrained heifers to ‘show them the way’. This is more difficult than training heifers in a herringbone although the same principles apply. 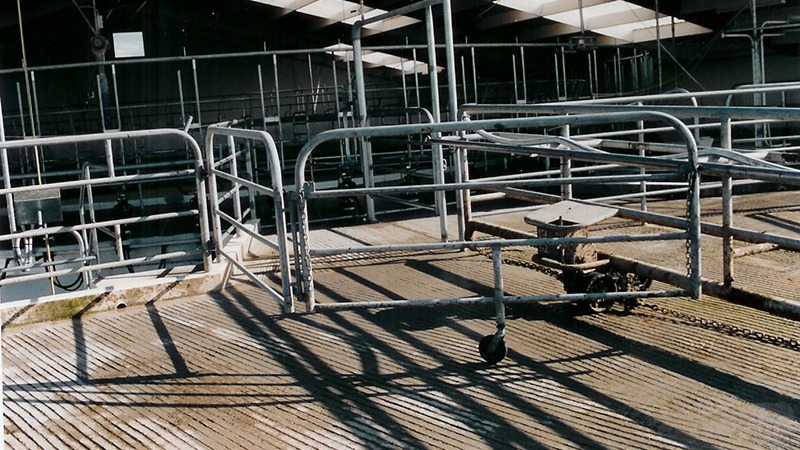 Stage 1: Expose heifers to a slowly rotating milking platform. Leave the machine off. Stage 2: Have heifers on a slowly rotating platform with some gently handling of udders. When the heifers are settled, turn the machine on. Stage 3: Go on to the drench walkway with your back to the cows. Then face them as they grow more settled. Stage 4: When you think the heifers are ready, try a practice drenching. Use a pleasant tasting molasses drench and do not persiste with reluctant heifers. It is best to expose heifers to the milking routine gradually. The following is a suggested method for familiarising heifers to the milking process. While doing this it is also worthwhile introducing them to drenching. Stage 1: Put the heifers into the yard and let them more-or-less find their way quietly out through the exit gates. Leave the machine off. Stage 2: Shut the exit gate and line them up as if for milking. Leave the machine off. Stage 3: Handle them gently around their udder. Turn on the milking machine so they get used to the noise. During this process, walk slowly and quietly down the drenching race in front of the cows’ heads from yard end to exit but with your back turned towards them. That way they are less likely to be frightened. Stage 4: Face them more and as they grow more settled, try using a drench made up mainly of molasses - more pleasant tasting than the usual medicines. Do not persist with drenching if a particular heifer becomes agitated, leave her until another time. It takes heifers about 2 weeks to establish a quiet, reliable response to milking once they enter the main herd. Heifers that have had a difficult calving take longer to settle into the milking routine than heifers with easy calvings. Heifers will generally be at the bottom of the social hierarchy and are physically smaller than older cows but you can minimise bullying by ensuring cows have sufficient space on tracks and in the yard. In large herds, separate mobs so heifers are not with dominant cows. Treat any painful udder conditions promptly so pain associated with milking is minimised. Ensure that heifers are not over-milked as this will cause sore teats and a fear of milking. Rubbing of the udder can be useful to help heifer let-down. It is best to mate heifers to sires that will result in small calves.